The result is apathy. The individual is left to find his own way. ... He believes the forces at work in public affairs are beyond his control. ... In theory the individual should join with others to mold the collective will and to participate in public decisions and policy. In practice the majority of the people frequently does not vote and the democracy which depends on the people's active participation is subverted by apathy, passivity, defeatism and cynicism. We are thus in peril of becoming a nation largely of spectators and commentators at the very moment when solution of the manifold problems confronting us--and indeed survival itself--requires no less than the active utilization in public life of the energies, wisdom and knowledge of all our people. ... The need for a general education program which will overcome these difficulties by focusing on citizen training can no longer safely be ignored." In 1946, following the chaos and horror of the second World War and concerned by what they saw as the American education system's failure, a group of public-minded individuals established the Encampment for Citizenship. Having witnessed the destructive forces of racism unleashed in Europe, Algernon D. Black, a leader of the New York Society for Ethical Culture, and Alice Kohn Pollitzer, a prominent civic leader, set out to change America. Black and Pollitzer believed that change would come through education and the lived experience of self-governance in a racially diverse community. The Encampment experience would be one of true equality, and it would be transformative. Through the years, the EFC has adapted to changes in American society while holding fast to its core mission to create a life-changing summer experience in democratic citizenship. The program seeks both to sensitize young people to the key issues of their time and embolden them to work for justice and the common good. More than 7,000 people are alumni of the program. James Branch Cabell Library Special Collections and Archives at Virginia Commonwealth University in Richmond, Va. collects Encampment for Citizenship photographs, organizational documents, correspondence, memorabilia and other materials that chronicle the history and people associated with the Encampment for Citizenship. 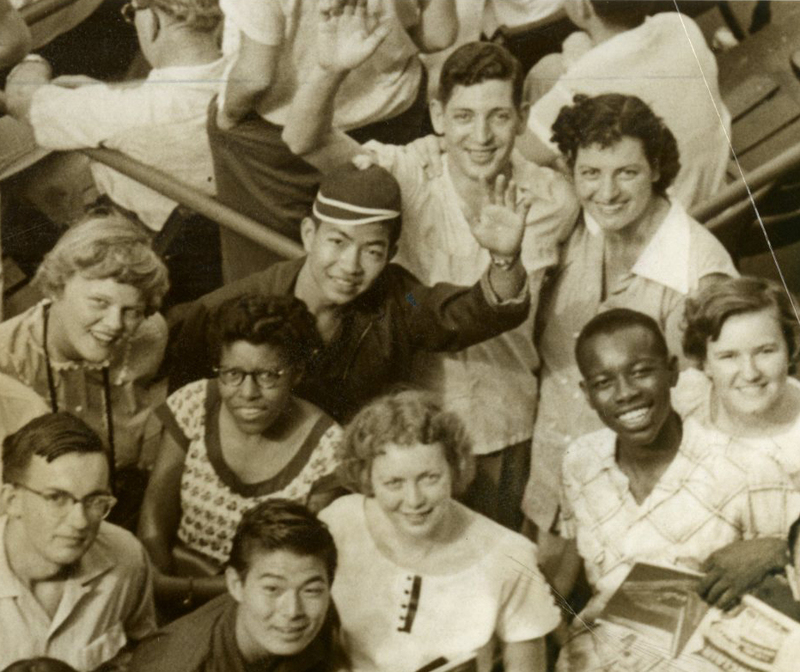 In 2016, as the Encampment marks its 70th anniversary, VCU Libraries presents materials from this Encampment Collection in this online gallery. It is the library's hope that these photographs, documents, and student publications will serve as a digital scrapbook, revealing not only the organization's history, but also some portion of its spirit. To visit the archives, ask questions or to discuss potential gifts of materials, please contact: Wesley Chenault, Ph.D., Head, Special Collections and Archives, James Branch Cabell Library.